Please complete this form to request your tour. You will then receive booking confirmation within 24 hours, subject to availability. Full payment is required when booking is confirmed. Please refer to our Terms & Conditions for cancellation policy. What a wonderful day we had. We are lucky enough to have visited many places in the world and we always do private tours. Not to show off - but to give you some comparisons - we have been to Venice a few times, Dubrovnik, Tuscan coast and Sienna, Paris, Dubai, Hawaii, Marrakech, Egypt, Turkey, Las Vegas, South Africa, San Fran, many places in Spain and all round U.K., but we have never had such an exceptionally organised, deigned and conducted tour. The combination of activities was fantastic and the all inclusive nature of events that we otherwise would have not even known we could do was brilliant. I wish there was more of this high end style tours around the world - Nev you need to go to global ! I cannot say one thing that could be improved. Review by J.M. Honestly the best tour we’ve been on down under! Nev you’re full of banter and without a doubt the best tour guide ever invented. Thanks PDT for an awesome day tour. Review by S.D. Prestige Day Tours is a first class operation run by husband and wife. Had private tour that was supposed to last 8 hours which they extended to 10. Saw many things not anticipated. Nev one of the owners was our tour guide. Very informative and made sure our every need was met in a first class manner. Prestige spares no expense in providing services to its customers. Our tour included lunch but was taken to a five star restaurant." Review by E.B. 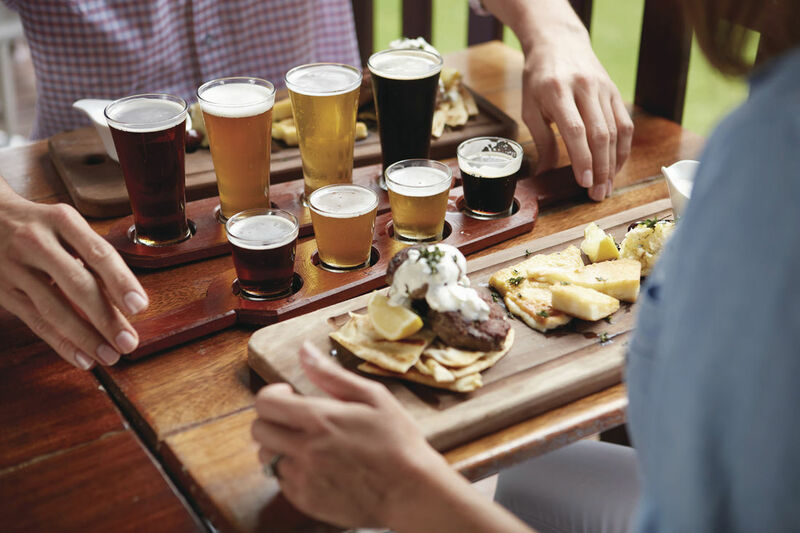 Fantastic way to sample Brisbane's culinary delights. Perfect way to celebrate our 5 year anniversary - Nev was great fun and we very much enjoyed ourselves. Review by V.C. 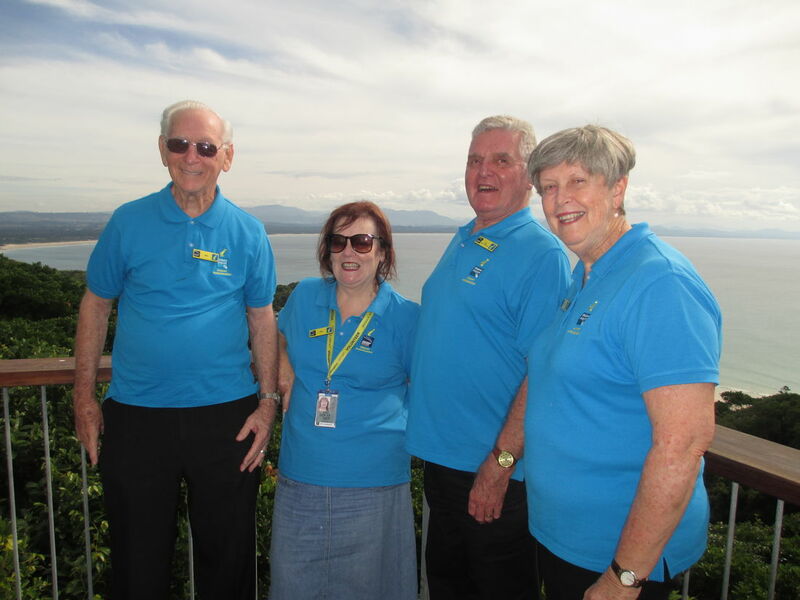 Best Tour Guides in Brisbane! Very well looked after! 5 stars! Recommended by E.H.
We experienced the Day in the Country tour with Nev on June 11, 2018. My wife, LouAnn and I had the time of our life. Nev was a wonderful tour guide and he showed us some of the most beautiful sites in Brisbane and the surrounding countryside. We will forever remember this day as part of our first and great experience in Australia. We will be highly recommending Prestige Day Tours to all of our friends and family. If you want to have a great and personalized experience, then you MUST take a tour with Nev and Prestige Day Tours. Recommended by R.L. 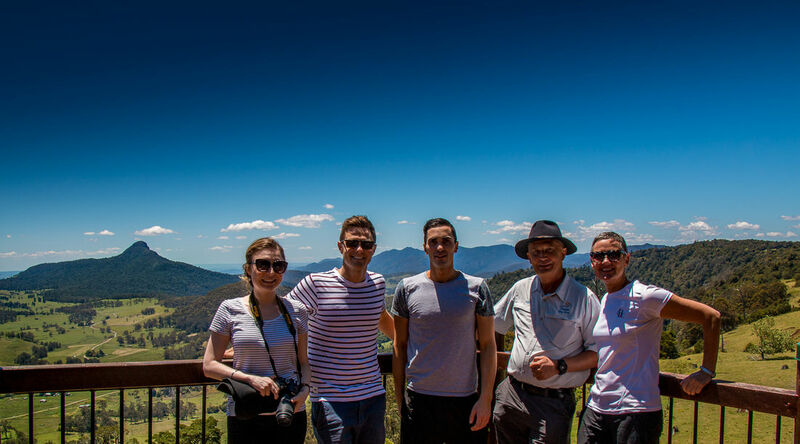 We had such a great day touring around on the taste of the scenic rim tour today. Beautiful countryside and great experiences including cheese tastings, winery, micro brewery & camel farm which was a lot of fun. Nev was an excellent host for the day, great to chat with and full of knowledge. The day fit a lot in but was all at a relaxed pace so we finished the day felling very relaxed. Thanks again Nev we will be sure to recommend to all. Recommended by M.K. My mother and me had simply the best time on the full day in the country tour during our stay in Brisbane! Fantastic views, yummy lunch, feeding the birds, waterfalls, camel milk gelato and all the information we could ask for. Nev and Cheryl were knowledgeable, friendly and provided more than value for money. Highly recommend to anyone visiting the beautiful city of Brisbane. Review by J.H. I participated in a tour with Prestige Day Tours as part of a group of 14 other colleagues. They did an amazing job of showing us some lovely Falls, scenic views from the mountains and then down to the Gold Coast for lunch and a walk around Currumbin beach and a climb on Elephant Rock. Considering we are from 8 countries and range in age from 20’s to 50’s this tour offered something for all of us with easy walks into the forest to see some amazing Falls. It was a full day of fun in amazingly comfortable vans. They are professional and extremely knowledgeable of the area. Review by A.M.
A truly wonderful day! Very well planned and the Owner is both delightful and a pleasure. We would highly recommend the company and the tour! Review by J.M. We experienced the Day in the Country tour with Nev on June 11, 2018. My wife, LouAnn and I had the time of our life. Nev was a wonderful tour guide and he showed us some of the most beautiful sites in Brisbane and the surrounding countryside. We will forever remember this day as part of our first and great experience in Australia. We will be highly recommending Prestige Day Tours to all of our friends and family. 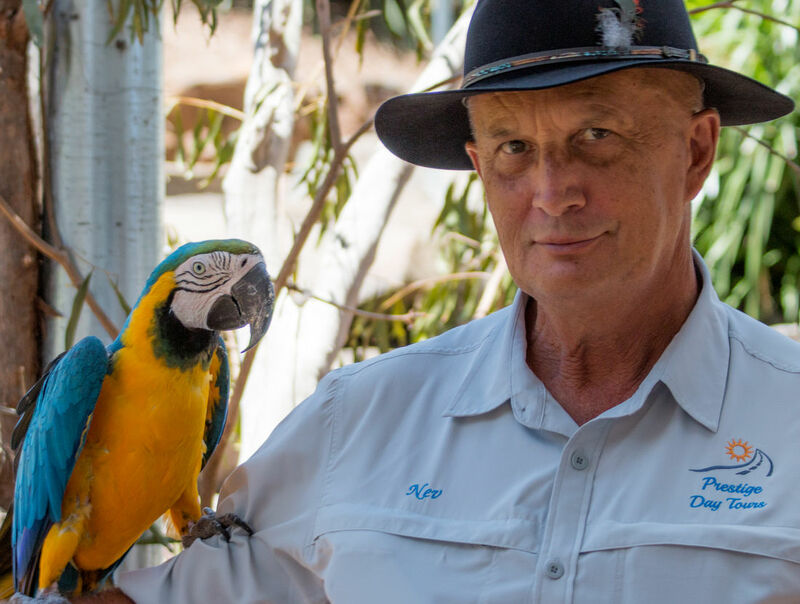 If you want to have a great and personalized experience, then you MUST take a tour with Nev and Prestige Day Tours. Our Progressive Dinner with Drinks and Transfers with Prestige Day Tours was amazing! Nev was a great company too and from each venue with great conversation and information about Brisbane and it’s history. The restaurants that are on this tour are a top pick with each showing a different take on Brisbane and all its beauty. Each restaurant had incredible views, service and amazing food! We had such a great time and can’t wait to gift this amazing experience to one of our friends and family! Thank you Prestige Day Tours!! Review by K.K. ***** In Broadbeach for a Girls Weekend get-away. Such a lovely day with Cheryl, in the comfort of a fabulous Mercedes, with a little bag of goodies provided (water, tissues, information, mints). We headed off into Wine Country for an adventurous day of discovery and a beautiful lunch at a boutique vineyard and Cellar door. Cheryl was receptive, calm, informative and supportive. Cheryl was also flexible in working with us to meet our budget and requirements - Highly recommended! Review by J.J.
***** What a wonderful day out we had! Byron Bay Lighthouse, tranquil Crystal Castle & Shambhala Gardens. Gourmet snacks along the way....including great local cheeses...yum! Couldn't have asked for more! Nev and Cheryl offered a professional yet friendly commentary, and Cheryl is an excellent photographer as well, capturing the day's activities beautifully! Highly recommend their service! Review by K.D. ***** The tour was very enjoyable and Cheryl and Nev are excellent hosts. Review by J.S. ***** We were warmly greeted by Nev and Cheryl and ushered into an 8 seater Mercedes which was five star for comfort. Cheryl gave us some great commentary of the history of the various areas....then on to Aratula our morning tea stop......delicious homemade apple slice, cream and coffee to keep us alert for the next stage of our adventure. Through Killarney and on to Queen Mary Falls, a beautiful area with a small hike down to the bottom of the falls, an area which lent itself to great photos with colourful parrots and wildlife making us welcome and amazing waterfalls.....a few kilometres up the valley was our lunch stop in a cute cafe overlooking a scenic valley. Then a relaxing drive onto Boonah, a small but thriving town, and a Devonshire afternoon tea with a talk by one of the locals who was the owner of the Cafe. After a smooth ride we arrived back at the Transit Centre and everybody agreed it was a great day in the country......" Review by H.B. 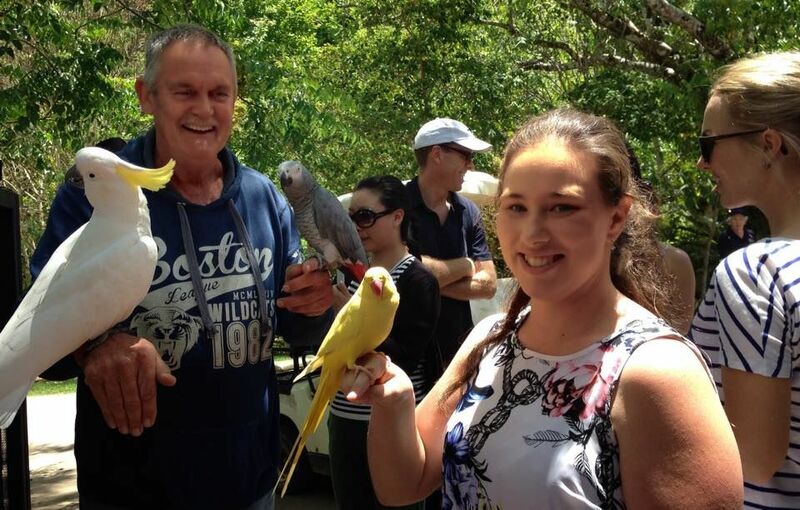 ***** "I had the best experience at Byron Bay and the beautiful Crystal Castle. Cheryl and Nev are very warm and friendly people who know exactly how to make guests enjoy their day out! The cars are pristine, luxurious and very comfortable.Two thumbs up!" Review by S.V. ***** "Had a really good day, very well organised. Nev & Cheryl were great hosts and the Limousines were very comfortable. Would recommend this tour everyone." Review by B.J. 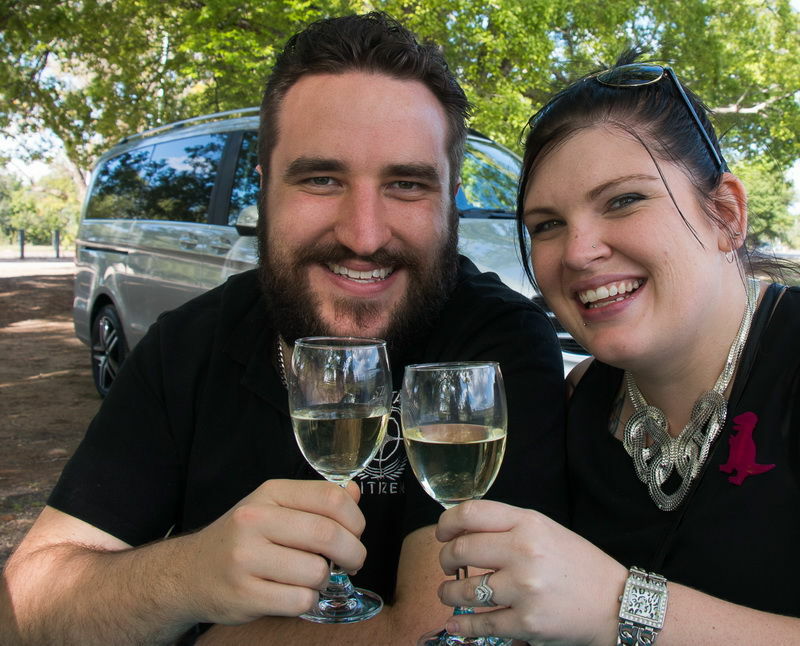 ***** "Right from the start Cheryl and Nev, from Prestige Day Tours, had one objective and that was to make us feel excited and relaxed about the day ahead. Our every need would be looked after and our job was to enjoy ourselves. The attention to detail was evident from our ?goodie bags? awaiting us, to what beverage we would like at our morning and afternoon tea stops. Even chilled water and umbrellas if the weather turned. Our transport for the day was a Mercedes van with leather seats that felt like arm chairs. Our stops along the way gave us wonderful vistas of stunning beaches, lush green countryside, amazing mountain scenery and ample opportunities for comfort stops and for stretching our legs. Our appetites were well looked after from our amazing morning tea stop at the Elephant Rock Café at Currumbin, the unlimited choices on offer in Byron Bay for lunch to the very tranquil Crystal Castle, our final stop, for a very calming afternoon tea. ***** "Dear Nev & Cheryl! A 1000 words cannot express how happy, how well treated and well taken care of, how impressed we have been: from the beginning of the first Emails till the moment we had to say good bye. 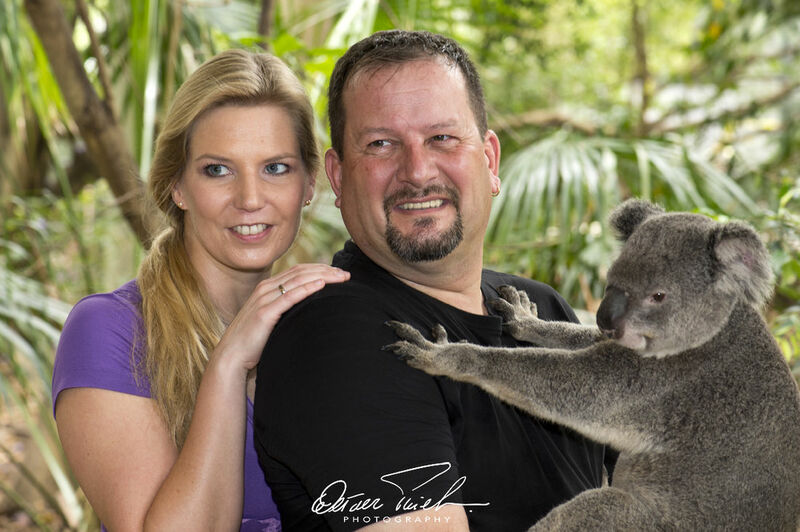 I hope we see you again in the future, in any case, for all of our clients who travel in or around Brisbane there is only ONE recommendation: Experience your day with Nev & Cheryl / Prestige Tours and don?t try ANYTHING different!" Review by W.T.